Last edited by Sokana; 03-18-2006 at 01:02 AM. looking to either trade my 05 sti trunk(debadged except sti) and spoiler for a wrx or rs trunk with no spoiler. my color is Obsidian black pearl looking for same if not can negotiate something. Car has 11800 miles on it in good shape. If not interested in trading give me a price on it and good sell my itself. I've got a 05 CGM STI trunk with wing... debadged except for the SUBARU letters. Looking to trade with a 05 CGM RS or a wingless JBP trunk. I am also looking to swap hoods with someone. I've got my stock 05 RS CGM hood and want to swap with a 05 CGM WRX/STi or 04 JBP wrx/sti. PM me for more info. I'm in the SF bay area. Last edited by UgLiEz; 03-29-2006 at 11:37 PM. I am looking to trade my 02 WRB wingless trunk for a WRB winged trunk. Prefferably stock wrx wing, but would consider sti. I am located in Maine - willing to drive a good distance, or investigate shipping. They are a small outfit of local rally guys that travel alot. If they are around they will answer there phone. Here is ther web site. They might still have the trunk, Sokana. Good luck. I can do this swap any day after 3pm, PM me! Location: Where The Sun Shines MORE ! I need OBP WINGLESS TRUNK. Willing to pay cash for it. I still want to keep my OBP STi trunk + Wing. 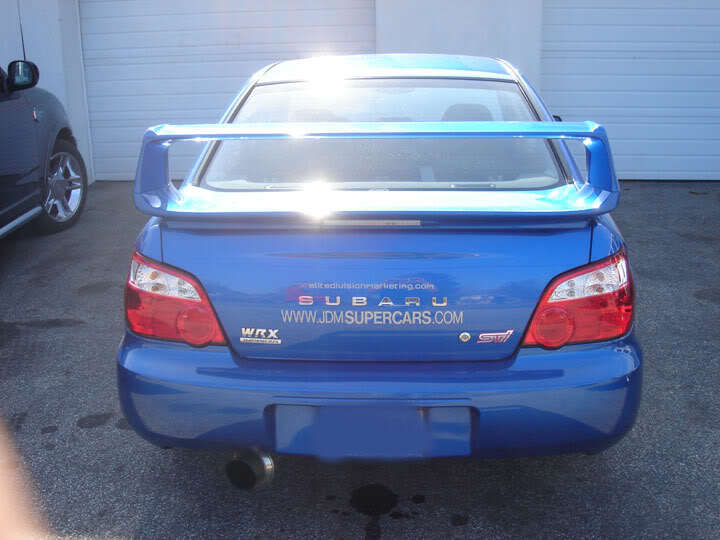 but noone wants a 2005 blue wrx trunk/wing. CONDITION: Excellent and New STi Wing (on for 200 miles). No Damage whatsoever. WANT: WRB Wingless Trunk . I would like to swap the trosion bars as well. Also willing to trade for CF Trunk. LoCATION: Southern New Jersey and Philadelphia.